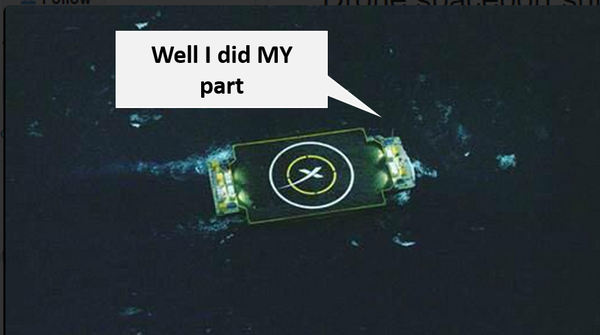 It looks like we’re going to have to wait a little longer to see if SpaceX can land a Falcon 9 booster rocket like a downy feather atop a drone-piloted barge in the middle of the ocean. Thanks to Emily Calandrelli for this little bit of humor (via Twitter). Launch time is actually now set for 5:09am this Friday, January 9. Both NASA and SpaceX should stream the launch live, but no official broadcast times have been announced as of yet. Start times for the live broadcasts should be available soon at www.nasa.gov and www.spacex.com. Despite the disappointment of having to wait until Friday to see the launch and historic recovery of the Falcon 9, there were still some encouraging developments in the wake of the scrub. In the moments immediately following the call to abort, #SpaceX, #Falcon9 and #ISSCargo were all trending on Twitter in the United States! The fact that there was so much buzz about a launch that didn’t even happen can only be interpreted as a sign that the public is beginning to get excited about space once again, and we believe that the efforts of the commercial space industry have contributed to that growing interest. And, of course, there’s another positive thing that came about as a result of today’s scrub–now we’ll have a Falcon Friday! We can’t think of a better way to kick off the weekend than with a launch! 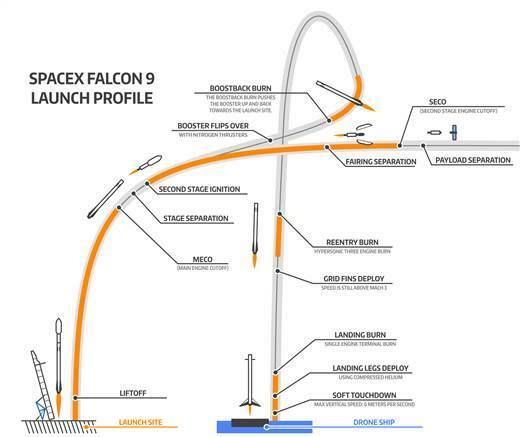 Flight profile of CRS-5, including powered landing of the Falcon 9 rocket. Thanks a lot TakeBackTheSky – really do appreciate the update!